If we were going to put her in public school, then she wouldn’t be eligible for kindergarten until Fall 2012, shortly before her 6th birthday. Thankfully, we’re not putting her in school and we’re skipping kindergarten altogether! 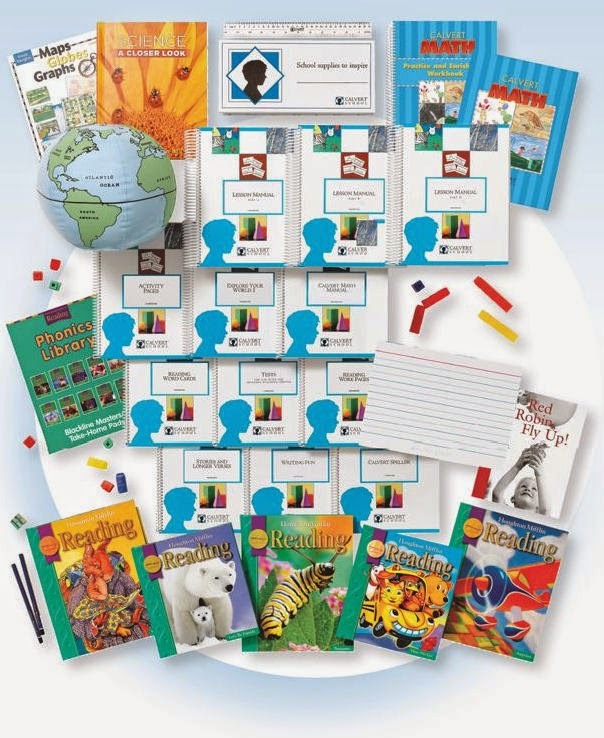 Some time this past spring Calvert had a sale on curriculum, so we went ahead and purchased 1st grade at a discount! I looked through it when it arrived and decided Miss M wasn’t quite ready for it, but would certainly be ready by the end of the summer. Now that I’m looking over it again, I see that the first half or so will be too easy for her, but I don’t mind that. I’m not too worried about her learning a specific set of information as I am about getting into some good habits and a regular routine. I think Little Guy will thrive on a more structured routine as well. He likes things to be just-so! I set a start date of August 22nd, so Miss M has been keeping careful track of the date since the end of July. She’s very excited to begin 1st grade. I’ll be supplementing our Calvert curriculum with a Bible curriculum of my own beginning with this Scripture Memory System. Sounds like it's really worked for you! I'll have to check out the Calvert Curriculum. We, or rather I, will be homeschooling our youngest this year as her speech therapy is held during the time she would normally attend preschool. I'm looking forward to it but am a little overwhelmed by all the choices out there. That's one reason I like Calvert so much...everything is laid out, planned out, included. It's a bit pricey (for me), but I'd rather pay a little extra up front and not have to pay it later when I realize I missed something or need to add this or that to make up deficiencies. Plus it saves my sanity! I love reading about back-to-school plans. Sounds like you're ready! And we're using the SCM scripture memory tool, too - a variation of it, since I wanted it to fit in my three ring binder.